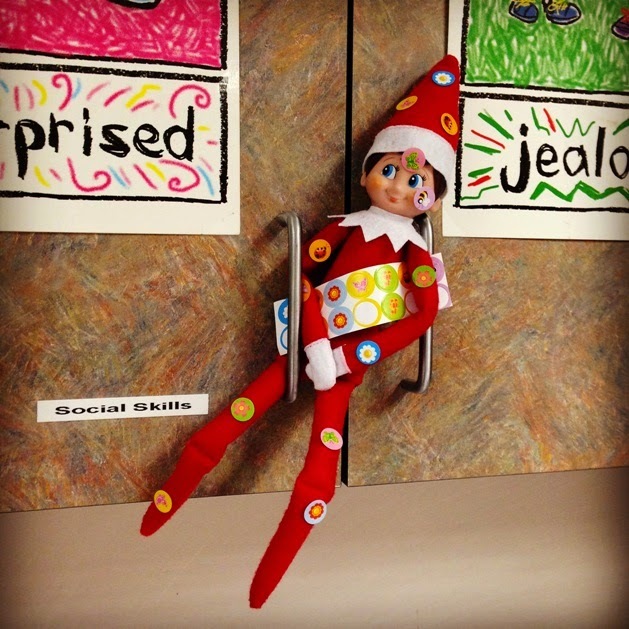 December 1st: The elf arrived, wanting students to vote for a name for him. 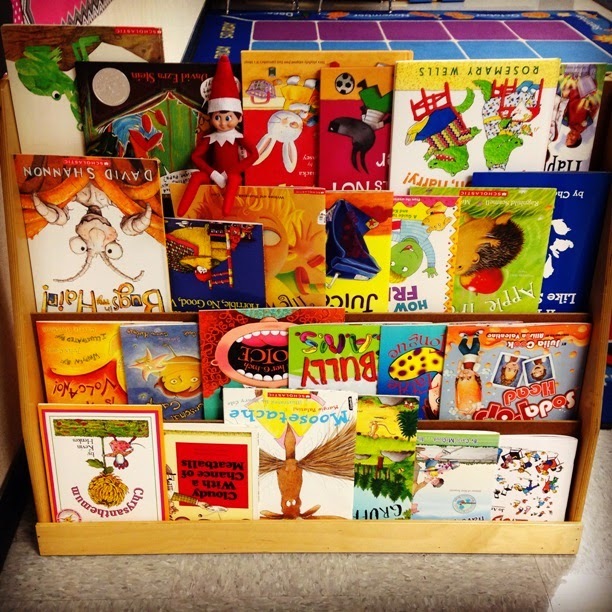 Throughout the week, all the students got to choose their favorite. 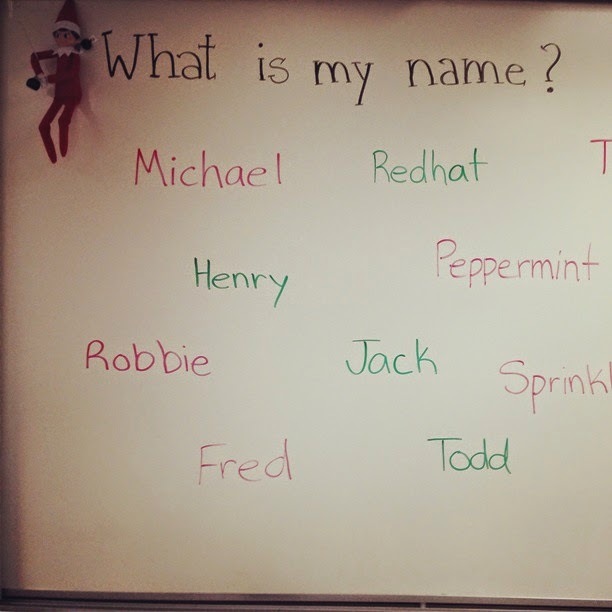 The votes are in, and it looks like "Peppermint" is the most popular! December 2nd: Peppermint got into our bookshelf and thought it would be funny to turn all of the books upside down. 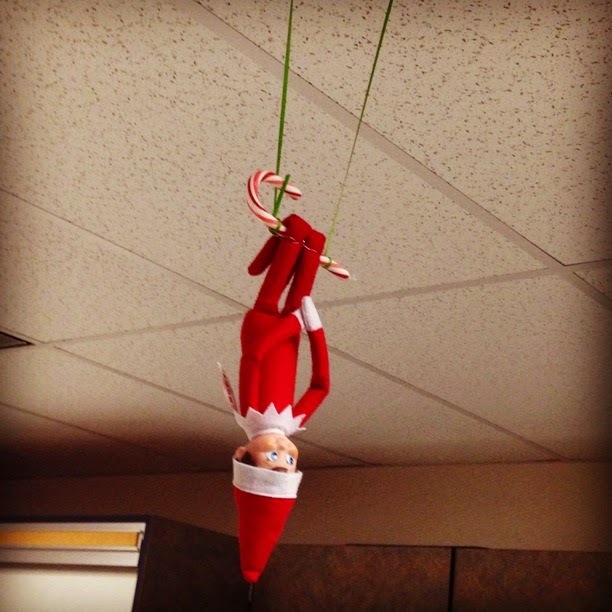 December 3rd: Peppermint showed off his acrobat skills when he decided to dangle upside down from the ceiling. 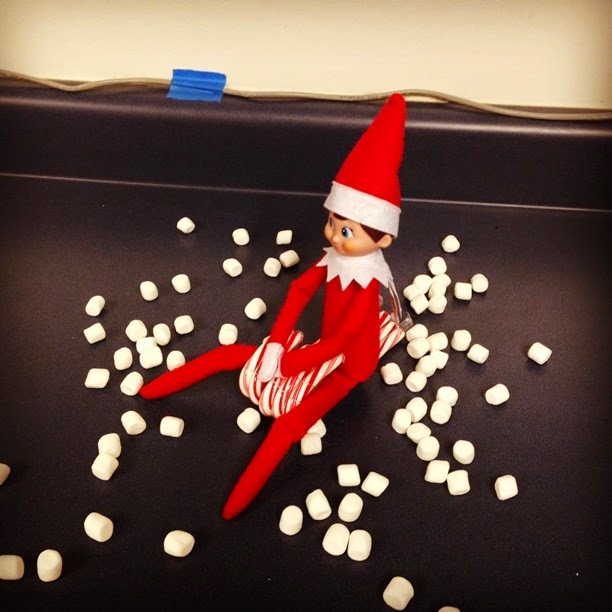 December 4th: Peppermint built himself a sled out of candy canes and went sledding in a marshmallow winter wonder land. December 5th: Peppermint got into my sticker box and had some fun with its contents. Stay tuned for more updates from Peppermint! I'm sure he has some more ideas of how to entertain us during the month of December!